Another project we’ve been working on is making QR tags and placing them on the buildings that have solar panels. 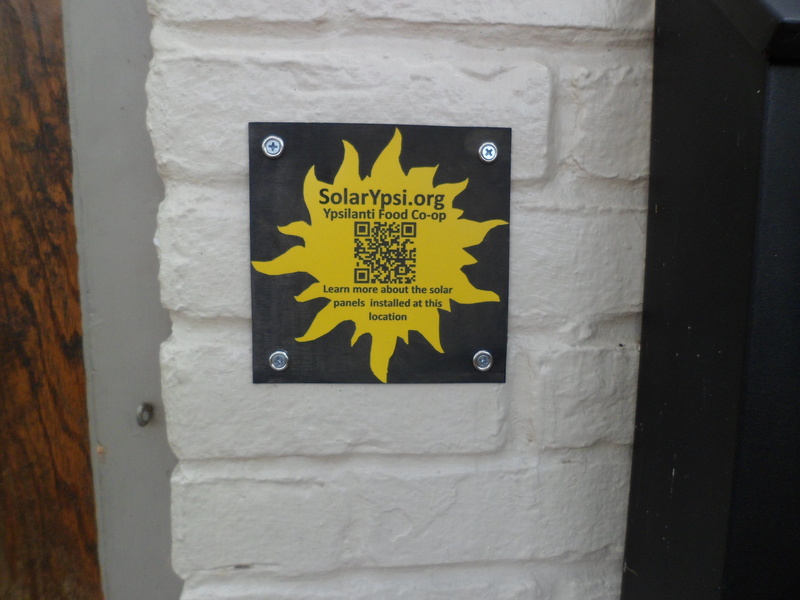 People with a QR tag reader (usually a free app) can point their smart phone at the tag and it should bring up a 2 minute video about someone from that location explaining the solar installation at that location. 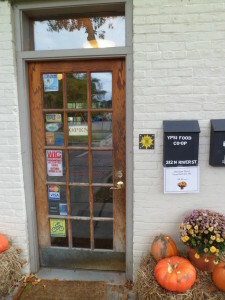 This is very useful for places like the Ypsilanti Food Cooperative where the panels are on the roof and not visible from the front of the building. Here is a picture of the QR tag on the Ypsi Food Coop. Head over to the 312 River Street and point your phone at the wall, or if you’re lazy, just point your phone at the pictures on this blog posting. Don’t have a smart phone? 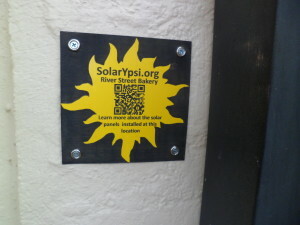 The videos are also available on the SolarYpsi website. Click on one of the locations and then click on the “files” tab to see a link to the video. 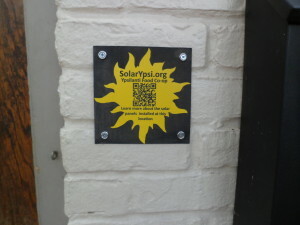 Thanks to Paul Haas for helping me make the tag at the Maker Works in Ann Arbor, to Nik Estep for writing the QR tag code for the SolarYpsi website, to Steve Pierce and HDL.com for hosting the SolarYpsi website, and to all the “actors” in the current and future videos. 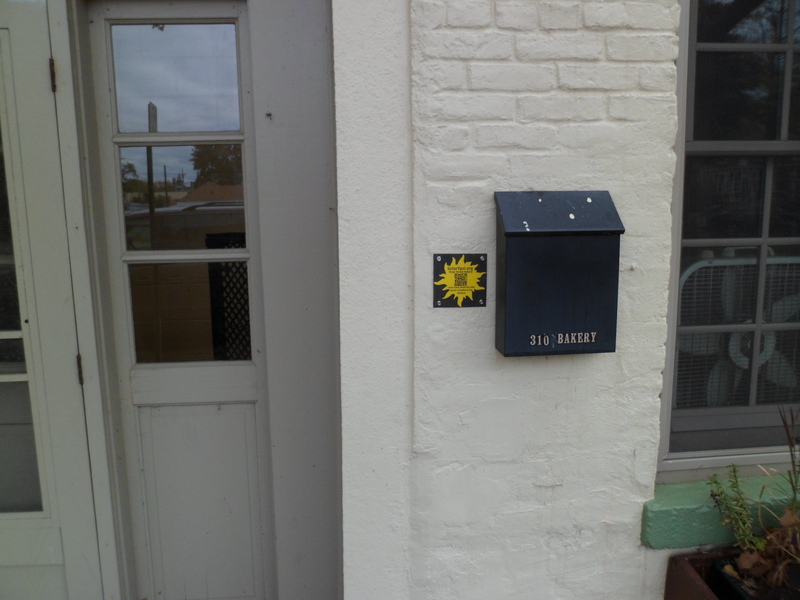 Look for more QR tags popping up around town.